Thanks to Mike and Moe Rosenau, Mike is a pastor and let me stay in house for 3 days. He gave me some adresses I could visit in Canada later. He called Vallhall sport store and fixed a new Patagonia jacket for me, my old one was not waterproof anymore. Enjoyed my time here and had fun. 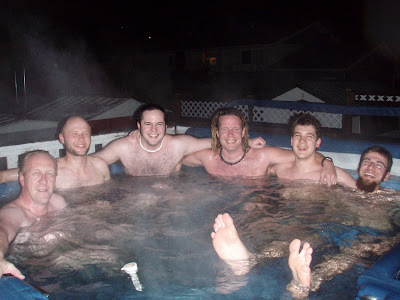 Here we are in his hot tub with friends.